Netflix subscribers – your subscription just got more magical! The latest Disney films, including the blockbuster ones from Pixar, Marvel, and Lucasfilm will be made available to all of you this September. It’s part of a deal that Disney and the streaming entertainment giant made back in 2012. It’s an exclusive deal, meaning that Netflix will be the only place you’ll be able to watch popular Disney titles like Star Wars and the Avengers after they debut in theaters. They will no longer appear on premium TV subscription channels like HBO and Showtime which was known for getting the films after they released on Blu-ray/DVD. Netflix customers would be one of the last customers to receive the films sometimes with no anticipated release date, but this deal changes everything. Industry-wide. The business of home entertainment is lucrative with many films getting a second shot at life or a second life with revenues from people who want to buy them. Netflix is already home to many Disney-branded films and TV shows. The additional library of films only makes their service more lucrative, but costly at the same time. 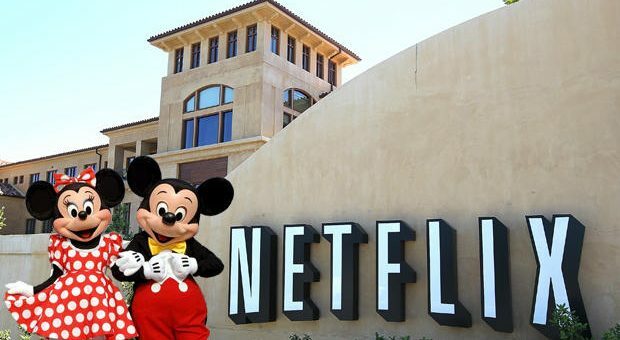 It was reported that Netflix bought the multi-year streaming rights from Disney for millions per year. Perhaps that’s why your Netflix monthly price went up a few weeks ago!